I have been known to use pipe fittings as an inspiration for sculpture before and will probably do so again. There is something so solid and functional about pipes. It is fun to use them in random ways.. 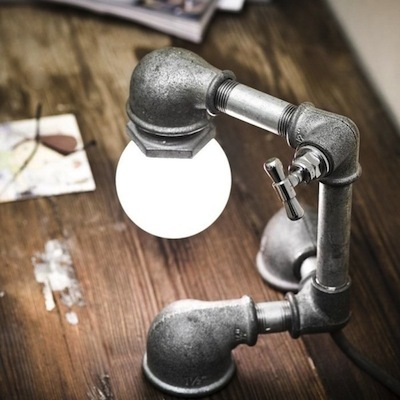 This quirky light with personality is available from KOZO and created by two Israeli designers. Industrial strength! I don't believe I have any photographs to support my claim of early pipe sculptures though. Although my explorations were well before current technology there is no excuse in the digital age. Record all your ideas and projects so years later you can blog! A digital filing system will be helpful as well!